As we’ve talked about in previous newsletters, the Braamfontein Company’s select band of architects – Herbert Baker and Harry Clayton among them – had been commissioned to design houses on strategically selected sites on the hillside running down to “The Dell”, today known as Frank Brown Park. The water supplied to Parktown was already being pumped from a well here up to water tanks in Ridge Road, from where it was gravity-fed to the township – so water in this new section of Parktown (Parktown West) was never really a problem, as it continued to be in much of the growing town. Just beyond “The Dell’ at what is now the entrance to the Milpark Hospital, a piece of land was donated to the Guild of Loyal Women, whose main aim it was to reconcile Boer and British women after the war, for the establishment of a much needed orphanage. The Guild Cottage still stands on this site today, continuing its most important work. 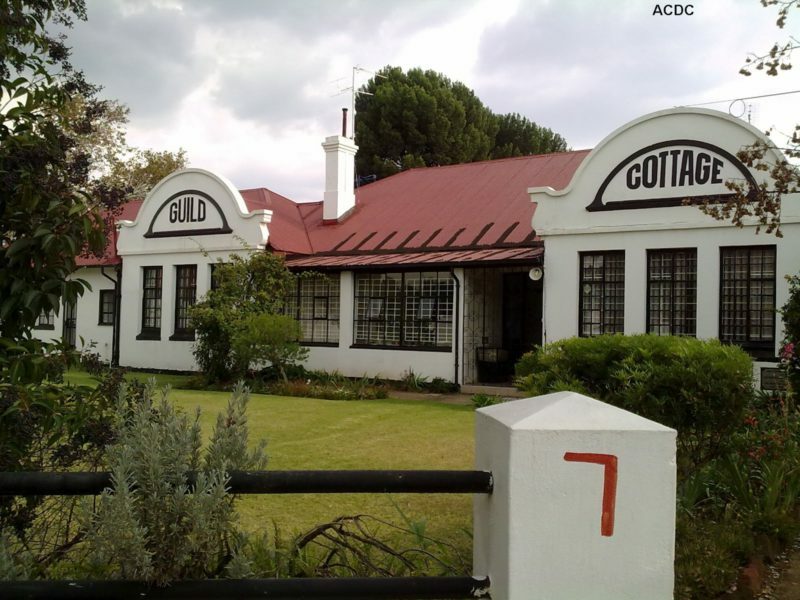 Opposite the Cottage was the Sans Souci hotel, one of the very popular resorts in early Johannesburg which were true “watering holes”. All – Sans Souci, Orange Grove, Langlaagte and, a little later in 1906, the Country Club – boasted natural water features, much sought after by the citizens of the parched and dusty mining town.